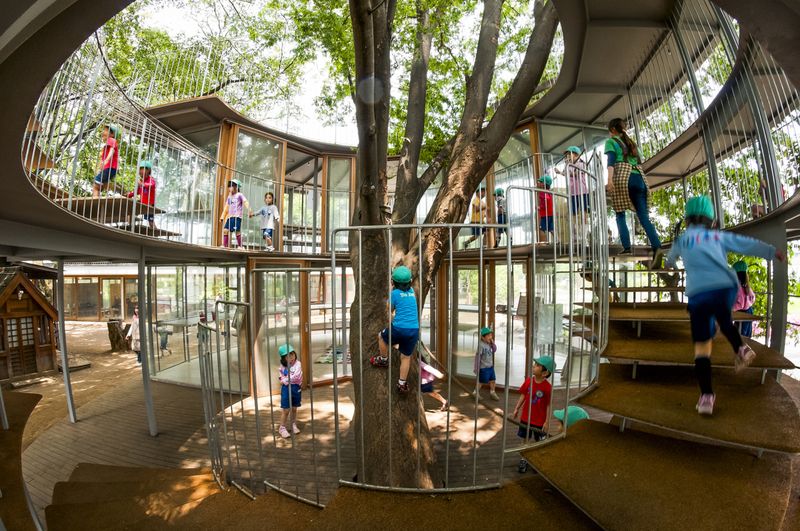 At Fuji Kindergarten outside Tokyo, kids make the most of a magical environment designed just for them. 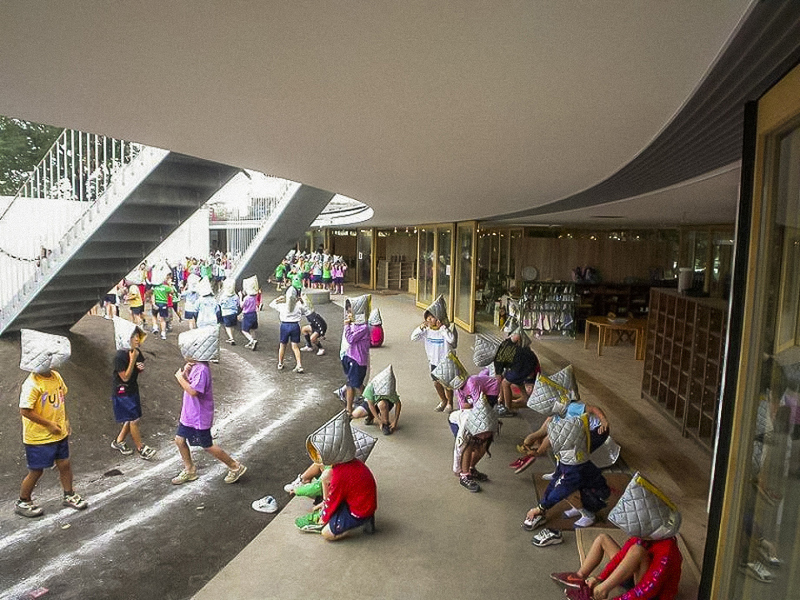 The roof of their oval-shaped school, designed by Tokyo-based firm Tezuka Architects, is an endless playground, and trees grow right through classrooms. So how do you build to let children be children? 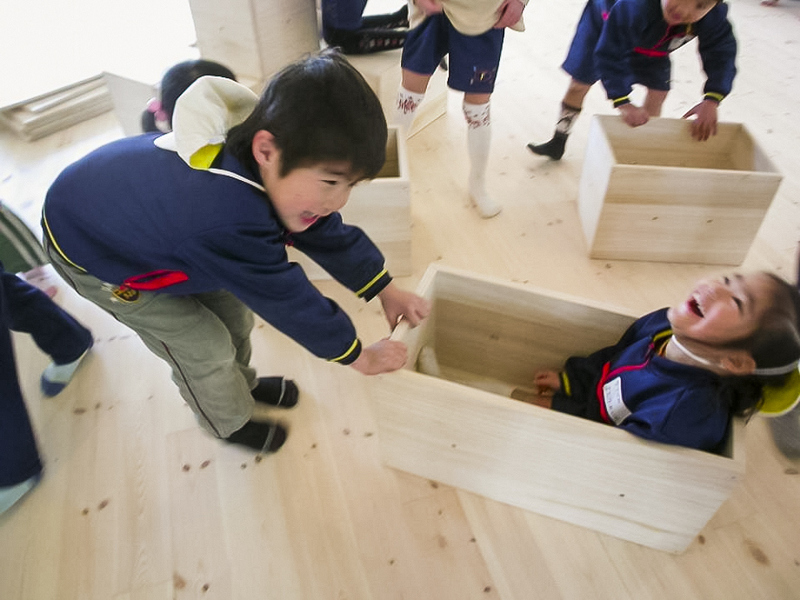 Says Takaharu Tezuka (TED Talk: The best kindergarten you’ve ever seen): Think like a kid. He was inspired by his own daughter and son, now twelve and nine, who he says “have become a part of his body.” As they grew up, their habits and desires became his, and in designing his school with his wife, Yui, he only needed to channel them to know what to build. 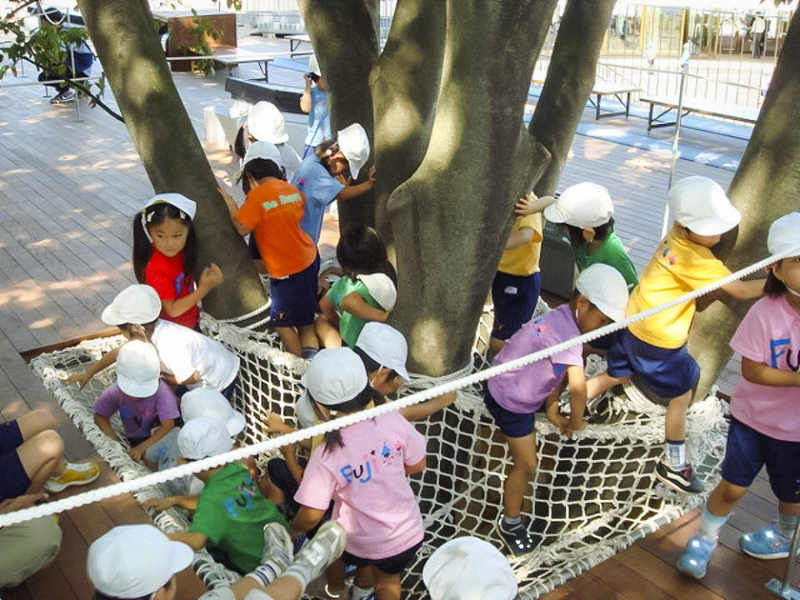 Explore the school and dive into Daddy and Mommy Tezuka’s kid-centered design thinking. 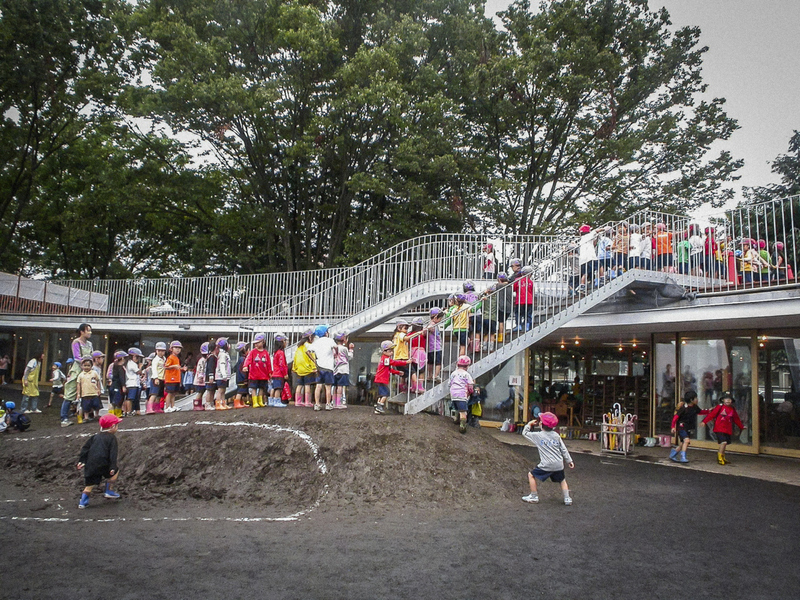 Photos courtesy of Tezuka Architects. 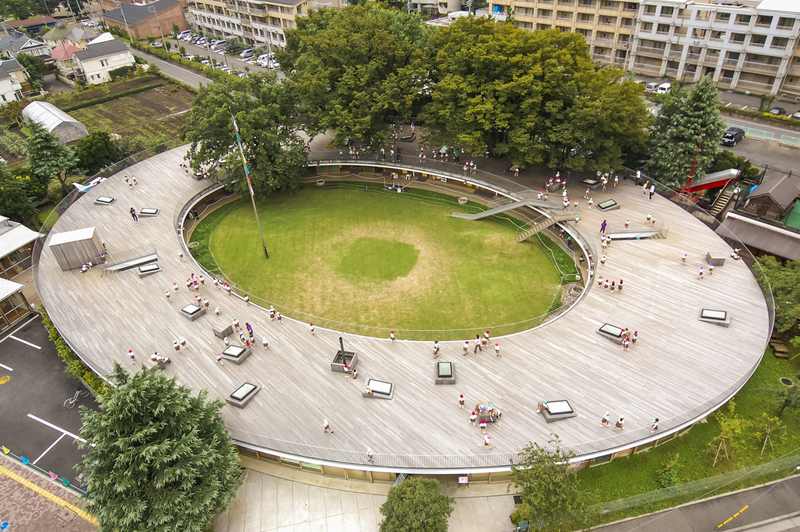 Photo of the “Ring Around the Tree” building by Katsuhisa Kida/FOTOTECA. This piece originally ran on ideas.ted.com. This is the product of genius. I am inspired. Thanks for gifting to the world, this super training system for future super stars. Who would not want to be kids again? I would love to teach in this kindergarten classroom! Such fun for everyone! It’s like a combination of Montessori and Waldorf principles but way more awesome! What about naptime? 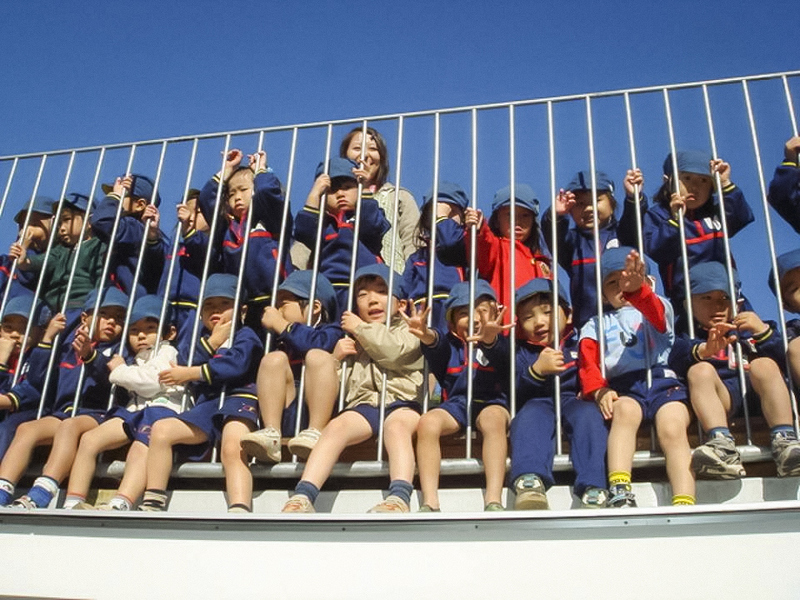 these are kindergarten children, not childcare children…they are supposed to be getting out of the routine of napping and becoming school ready…and even if they do still nap they are supposed to get used to noise…even in childcare when some rooms are napping other children are outside still playing…. Wonderful!! I wish and hope there are more such places for children world over! !